Blu-ray player software is what everyone needs for enjoying high definition Blu-ray movies on a computer screen without a standalone player, and DVDFab Media Player is definitely one of a kind Blu-ray player software. With this Blu-ray player from DVDFab, one can enjoy 1080p Blu-ray movies (no matter in 2D or 3D, in disc or as iso files or Blu-ray folders) with great audiovisual experience (DTS HD Master Audio and Dolby True HD Audio supported). Can this software play DVD movies? The answer is “yes” of course. 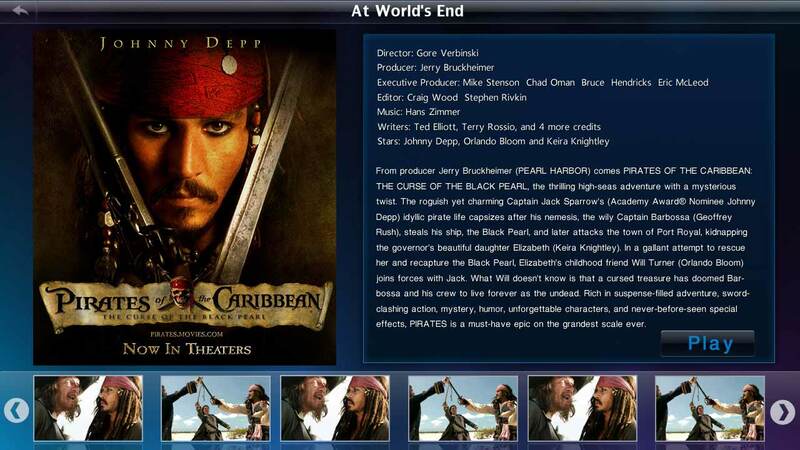 Next follow me to have a look at how to use it to play Blu-ray movie if you’d like. 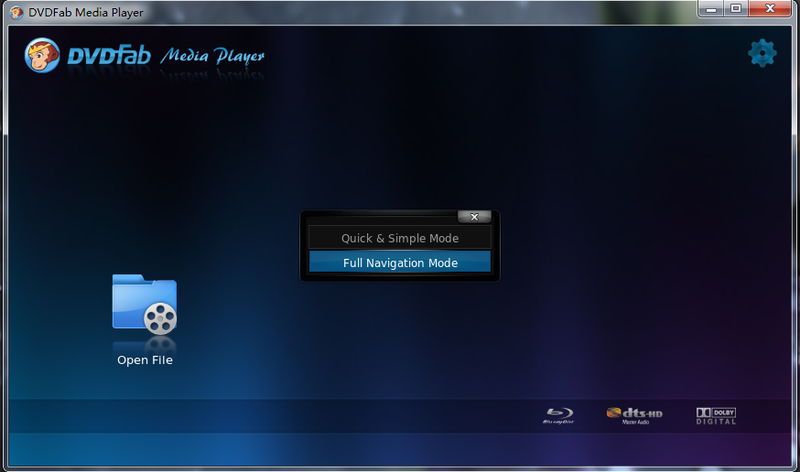 DVDFab Medial Player is a light software which can be easily downloaded and installed on your computer. After the installation, double click on its desktop icon to start it up. After this Blu-ray player software is opened, you can see “Settings” icon on the top right-hand corner of the UI, you can just click it to do some pre-settings. You see that “Open File” icon on the UI? If the Blu-ray movie you want to view is just saved on your computer as iso file or as Blu-ray folder, then just click this “Open File” to go to the location where the movie is saved, and choose it. 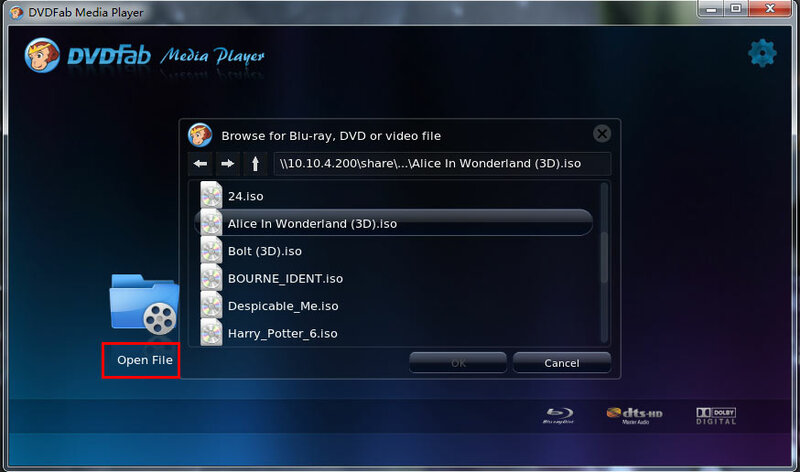 If you have a Blu-ray disc that you want to view with a Blu-ray drive and with this software, just insert the disc into Blu-ray drive directly and once it’s loaded in, you can see corresponding icon on the software’s interface, just like what showed below. Click the icon to view the movie. Before the movie content is displayed in front of you, there’re 2 play modes that you need to choose: “Quick & Simple Mode”, and “Full Navigation Mode”. 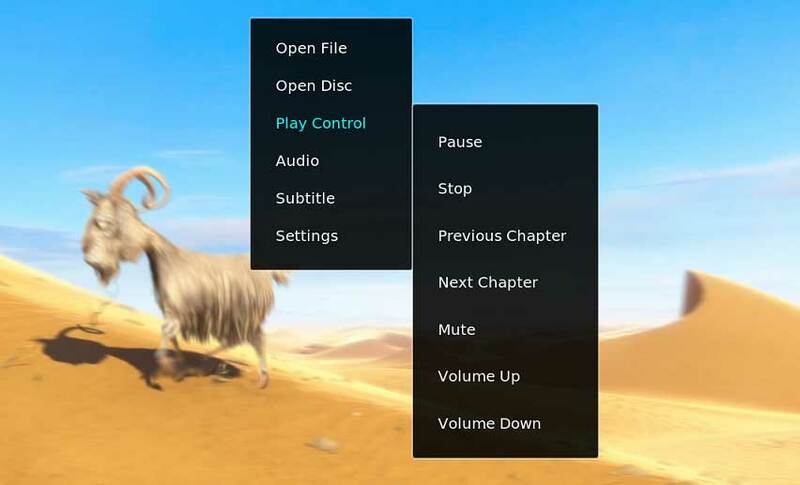 The former mode plays in a simple and convenient manner, and the latter mode gives you full Blu-ray navigation menu like when you play with a standalone Blu-ray player. 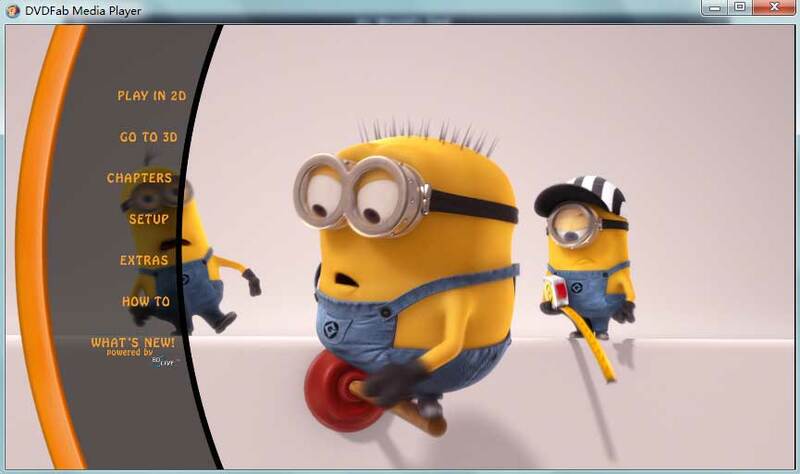 When the movie is being played, you can control the play and do some settings just by some simple mouse clicks on the interface. Right click on the UI, hover mouse at the bottom of the UI, or hover mouse at the top of the UI to see what will happen. Just have fun.